Expand to 8-IP Cameras! 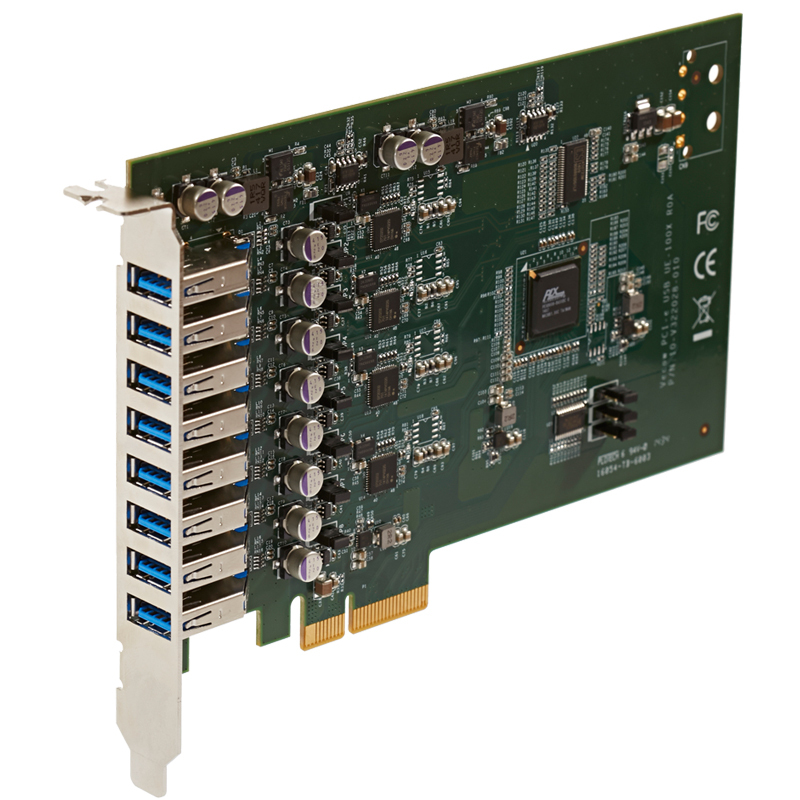 Designed for high-speed data rate industrial vision applications, Vecow's 8-port USB 3.0 frame grabber, UE-1008, provides up to 10 times of data rate over USB 2.0. 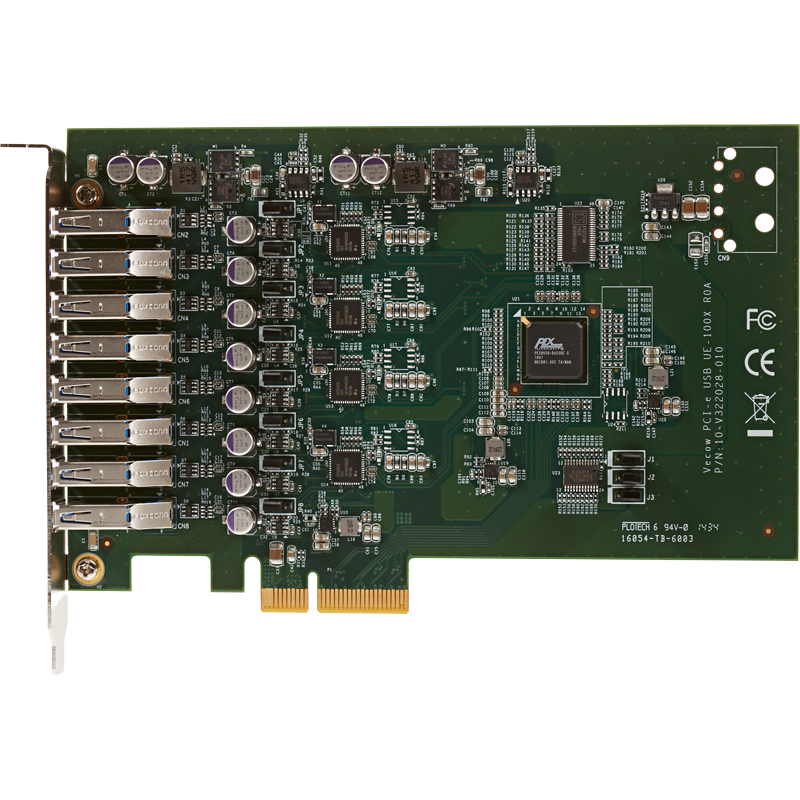 To guarantee performance for each port, UE-1008 has four independent NEC/Renesas μPD720202 USB 3.0 Host Controllers with x4 PCI Express Gen2 interface which enables every USB 3.0 port achieves up to 5Gbps bandwidth without interfering system resource and performance. With a selection of high performance embedded systems, the UE-1008 USB 3.0 adaptor provides robust solutions for Machine Vision, Factory Automation, Quality Assurance, Logistics, Medicine, and Security and Traffic Surveillance applications.